Green Bay Packers legendary quarterback Brett Favre has enjoyed his retirement from football, but hasn’t ruled out a return to the league in a new role. Brett Favre last played in the NFL for the 2010 Minnesota Vikings. He built a Pro Football Hall of Fame career as the star quarterback for the Green Bay Packers in the 1990s and the 2000s. 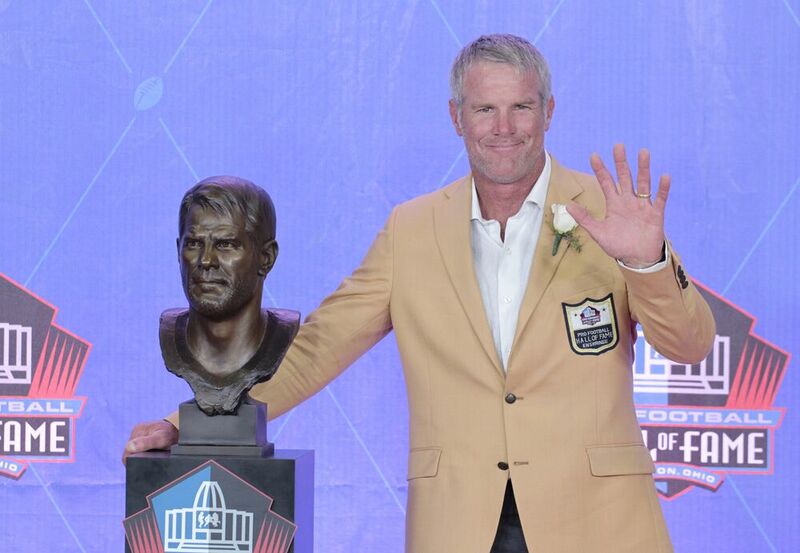 Though he has thoroughly enjoyed his retirement, could Favre be making a return to the NFL? As a guest on ESPN Wisconsin’s Wilde and Tausch radio show on Thursday, Favre mentioned that he does have interest in getting back into the NFL as a coach, general manager or even getting into a broadcast booth. However, Favre doesn’t plan to act on those urges to get back into coaching or joining a front office for at least the next few years. He wants to be able to go to all of his youngest daughter Bryleigh’s college volleyball games at his alma mater Southern Miss. She will be a freshman in Hattiesburg this fall. Favre would later add, “I feel like that if I don’t coach or work at that level in some point in my life, that I’m going to waste a lot of knowledge.” He did coach high school for a few years in his native Mississippi. Some of his former teammates in Doug Pederson and Ty Detmer have succeeded as football coaches. Favre also played in the same organization that featured brilliant team architect Ron Wolf. For now, Favre wants to be a volleyball dad, but already has the urge to get back into the NFL in some capacity. He’s only 47 years old. By the time he is in his 50s, he will have the time available to put together a second career in the NFL if he feels the calling. It’d be interesting to see Favre back in the NFL in a few years time for sure.